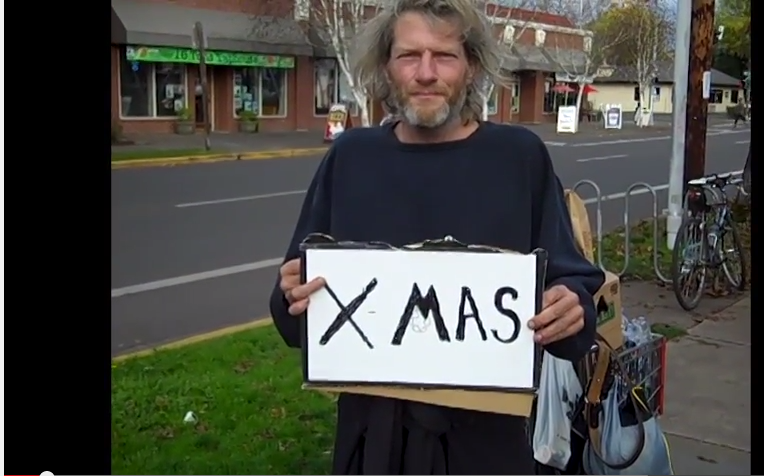 FACULTY SPOTLIGHT: Rich Ross, Lane CC Science Instructor, has completed a very compassionate digital story specifically created to bring attention to the needs of the homeless people here in Eugene and Lane County at Christmas time. Rich wrote an original song, “Remember Me,” which he performs on the video. I urge you to watch the video and to consider acting on his final appeal. This entry was posted in Faculty Stories and tagged charitable, Christmas, homeless, Rich Ross. Bookmark the permalink. This film is a gift because it makes us see, hear and feel the pain of others. Thank you for highlighting some of the most forgotten smiles. This was so beautiful.